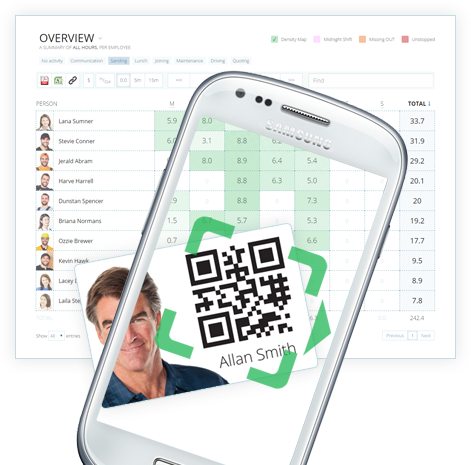 TimeDock is the most scalable and robust online time-sheet system, with QR-code attendance for Android & iOS. QR-code Employee Time-Tracking is fast, scalable and accessible. Field-based industry such as Construction, Agriculture, Healthcare, to name a few, are in dire need of an easy to use mobile time clock system that's easy to use, prohibits time-sheet fraud, respects traditional proximity badge interfaces, and delivers a robust and intuitive time-sheet experience in real-time. All of which should be available from the head office. Most field-based and crew-operated organisations are still practicing costly hand-written paper timesheets or at best a basic manual entry time-sheet app on their phone. Late submissions, inaccuracy, unfavorable rounding, and fraudulent time-sheet theft are a common scourge against business inefficiency that plagues paper-time-sheet and manual time tracking processes. The cost against your bottom line? Two percent of payroll or roughly $20,000 for every $1M you spend on wages. TimeDock uses QR-code staff identification badges that you can print directly from our online time-sheet software, that you can scan instantly with our TimeDock QR-code time clock app available for any Android or iOS mobile device. 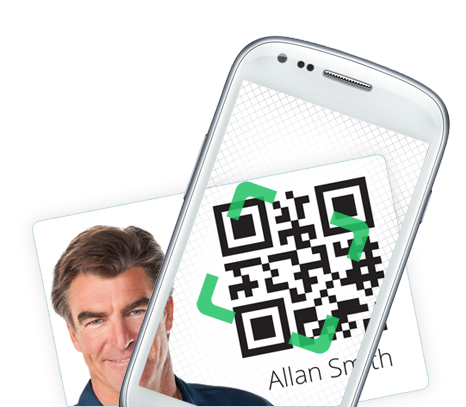 Each team leader or designated person can scan dozens of employee QR-codes, at any job site location, in a matter of seconds. Then, from your TimeDock time-sheet web portal, employee attendance is immediately accessible including total hours worked on each job and even what kind of work activity they were doing when they clocked in. * based on research from Aberdeen Group, American Payroll Association, Nucleus Research and online sources.